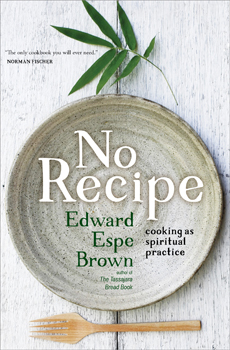 With No Recipe, renowned author of The Tassajara Bread Book (Shambhala, 1970) Edward Espe Brown invites us into his home and kitchen to explore how cooking and eating can be paths to awakening and realization. Reading Brown's witty and engaging collection of essays is like learning to cook - and meditate - with your own personal Zen chef and teacher. Brown shares that the way to cook is not only about following a recipe, but about letting the ingredients come forward to awaken and nourish our bodies and minds. Baking, cutting, chopping, and tasting are not seen as rigid techniques, but as opportunities to find joy and satisfaction in the present moment. From soil to seed and preparation to plate, No Recipe brings us a collection of timeless teachings on cooking as spiritual practice.